Supper Magazine has featured Azure & Mist; the two new stunning, jewel like glazes within the Willow range. 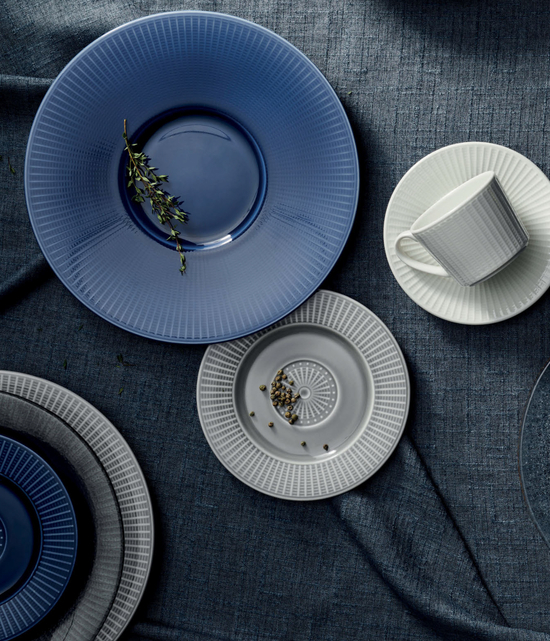 Exuding style and hidden strength, the Willow collection is perfect for all fine dining and banqueting environments. Offering multi-level presentations through a series of wide rim gourmet plates and a new modern mid rim plate, Willow provides an elevated presentation that will withstand the demands of a robust commercial environment. The addition of two rich colour glazes, which create a jewel like effect, add further beauty to this range. The glazes highlight and pick up the embossed design, and elevate the Willow presentation of key signature items. To see these new glazes, along with all new tabletop solutions for 2019, visit us at Ambiente Frankfurt, Stand G81, Hall 4.2.